A hot topic that’s getting hungry hearts racing has got to be the new crab buffet promotion! 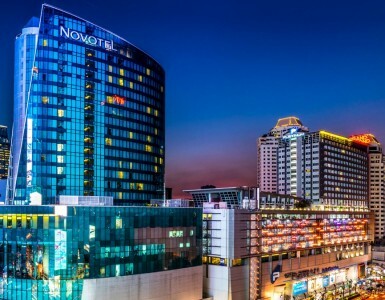 At Novotel Bangkok Platinum Pratunam. Now from September until December, crab lovers can get ready to experience a world that is “Sunday Brunch”. Every Sunday Brunch, the SQUARE becomes a stage showcasing the tempting flavors of crab in the lead role. Savor fresh blue swimmer crabs and sea crabs, steamed with aromatic Thai herbs. Or enjoy blue swimmer crabs and king crab legs poached on ice along with a variety of spicy sauces! It’s not just crab-sticks, so remember to try the versatility of crab! Our rotating specials include stir-fried chili crab, spicy chili crab roe dip, som tum papaya salad with crab and more! Keep the hunger coming, as the buffet line is brimming with options to choose from. 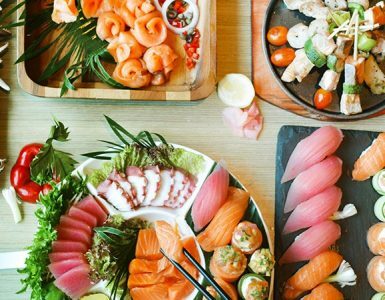 Taste your way through international cuisine with key dishes such as freshly-baked pizzas and colorful sushi. Try new things with our tapas-sized appetizers or taste our signature roasted duck and BBQ red pork. Sweets make every meal happier, so be sure to keep room for desserts! Choose from our famous bread & butter pudding or homemade cakes, ice cream and seasonal fruit. Bring friends, family and whoever’s hungry to take part in a crab buffet promotion for the ages! At only THB 1,648 net/person, there are also many special deals to participate in.